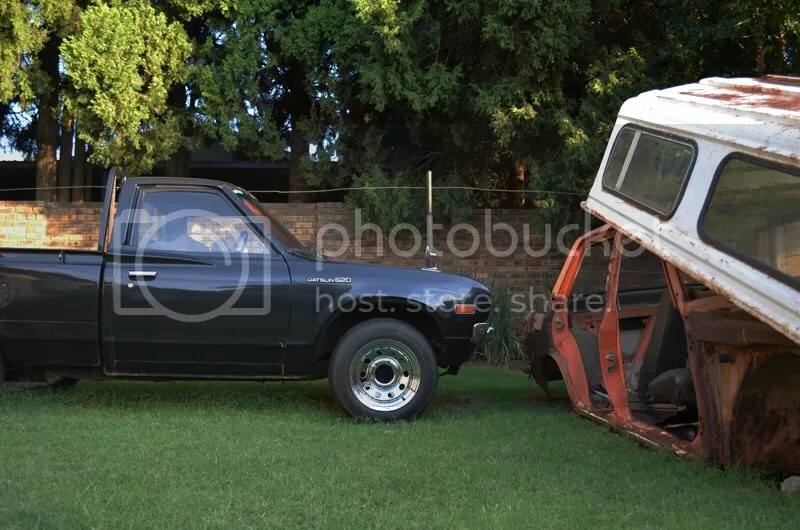 Datsun 620 – Dattosan Kureiji! I recently came across this photo on Facebook of a rear suspension setup on a 620 truck, and am really impressed by the level of workmanship that Sadistic Iron Werks has put into the project so far! It looks absolutely astonoshing, I can’t wait to see the end results! Could not let such a good deal slip through my fingers again… I coughed up the cash and bought my 620 an early Christmas present! All I had time to do today is place the wheels in front of the current ones, but I managed to get a few nice shots of them. 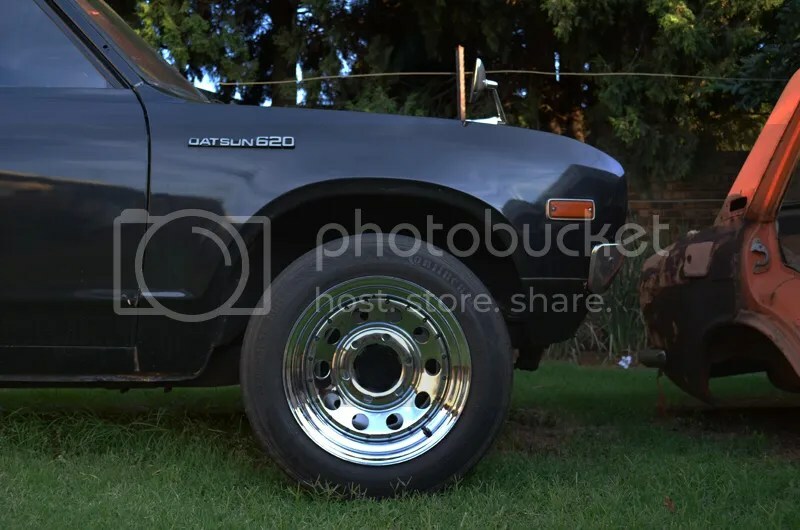 I think my truck is gonna look sweet when she is dropped over these bad boys!! Looks sweet in my eyes! I am going to design some custom center caps that my buddy will CNC for me out of aluminium to replace the ugly ones the wheels come with. 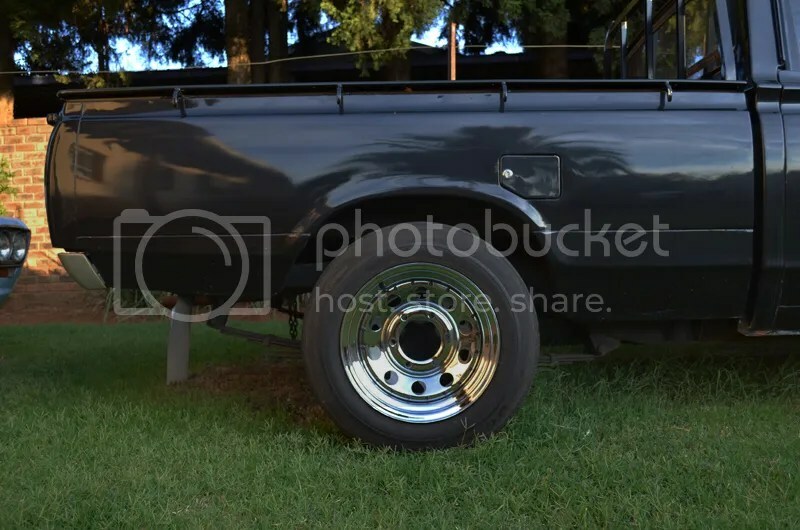 Here we have the other Custom Shop model in my collection, a 1975 Datsun 620 pickup. I was really stoked to find this one, as I had up until then never seen a model 620 before. I think it looks great in the replica BRE livery with the big wheels… Maybe I should do this to my 620? Not even 24 hours later I received a phone expressing tremendous interest in the truck and a meeting was set up. So being the good guy that I am I give the 620 a once over, washing her and putting my SSS’s battery in to make sure that if this guy wants to test drive her he can. I jumped in and took her around the block to make sure all was good and ended up giving my good friend Rudi a quick spin before it was sold. When I got back home the first thing that came to my mind was, “Do you really want to sell this 620 after you searched for so long for one in such good condition?” and then I was like, “Hell No!” but by then the potential buyer was already on his way so we would have to wait and see what would happen. Later that same day (yesterday) the guy arrived in one of THE CLEANEST Toyota Corollas I have ever laid my eyes on (and that is saying alot coming from this out and out Datsun guy!) and proceeded to give the truck the proverbial once over. After half an hour he jumped into his car and left, promising to let me know whether or not he wants to take it. Still haven’t heard anything from him, which is a good thing really! 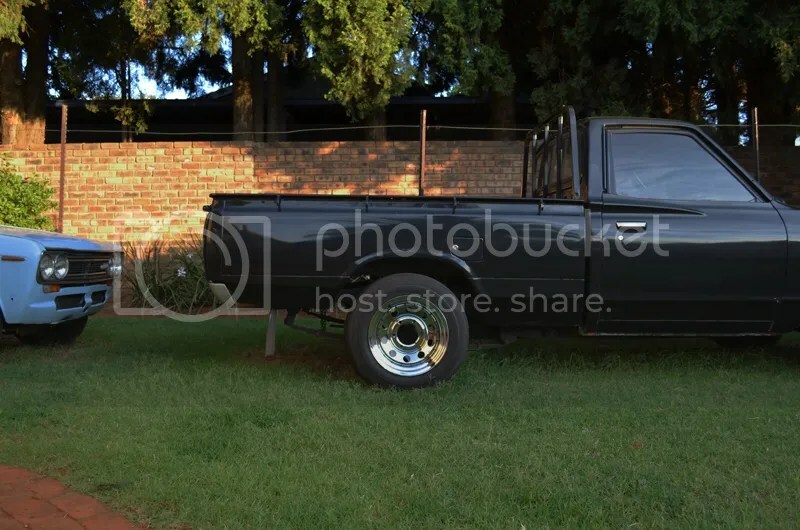 I then remembered that I had found an awesome forum from America that deals mainly with Datsun Trucks: www.datsunminitruckin.com and decided to share my 620 with the guys there. I immediately felt at home when the positive comments started flowing in about how cool my truck looks and how they wish they had the fender badges on their trucks etc etc. Thanks to a few of those great guys I decided to remove my adverts and try again to get the truck registered so fingers crossed I can get it done! Oh well, such is life eh?? So after a few weeks of tinkering and repairing and replacing things the 620 drove tonight without issue… Was so cool!